Now I can see only a part of them. List of the repositories used in your project you can see at File -> Settings -> Maven -> Repositories. Also you can run updating of indexes for used repositories there. Sorry, I mean, I want to see all artifacts from repositories. 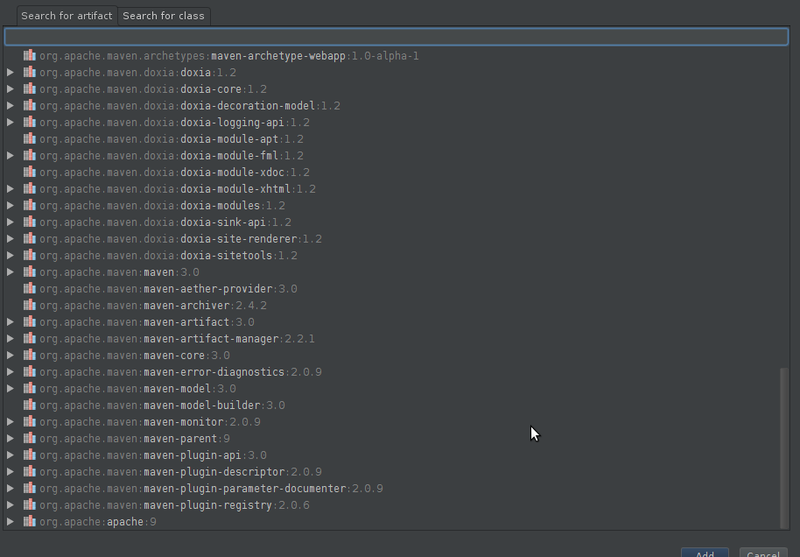 Repository contains a lot of artifacts, you can not see its together.